Lane Tipton and Camden Bucey discuss the patriarch Abraham as they turn to pp. 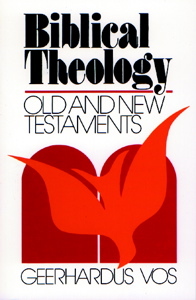 76–81 of Geerhardus Vos’s book Biblical Theology: Old and New Testaments. This chapter covers Abraham’s election, and we connect that to the doctrine of God, the nature of biblical covenants, and God’s gracious gift in the gospel of his Son.